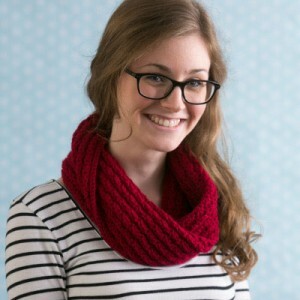 The Katahdin Cowl is the perfect accessory for all your outdoor winter activities. Named for Mt. Katahdin, the highest peak in the beautiful state of Maine, you’ll reach for this cowl again and again as you head outdoors in winter. 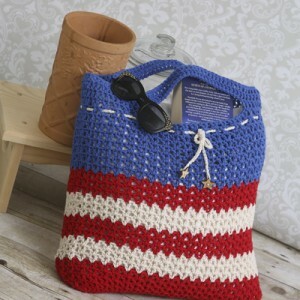 This V-stitch crochet bag in vintage-inspired patriotic colors is perfect for toting anywhere you go: the beach, the park, the carnival, the store and even your favorite fireworks display. 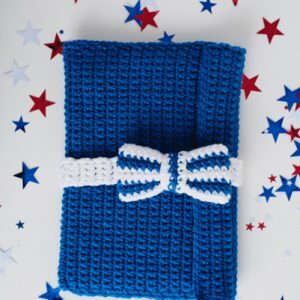 The V-stitch pattern makes it expandable and breathable, so you can take everything you need in style. 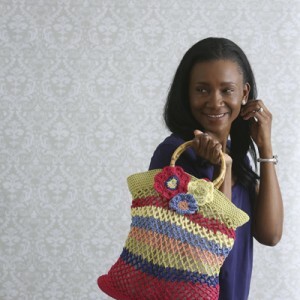 Do you want a chic and versatile beach bag this summer? This floral beach bag is the best thing to tote around to the beach. 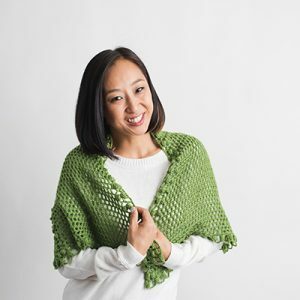 The mesh construction allows for the flexibility to stash whatever you want inside, and the colorful blossoms help to attach the bamboo handles. 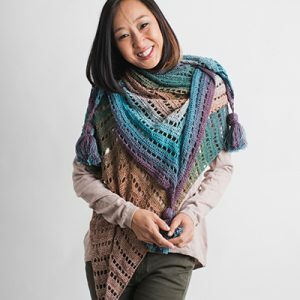 As you welcome the first returning buds of spring, wrap yourself up in a lightweight shawl. 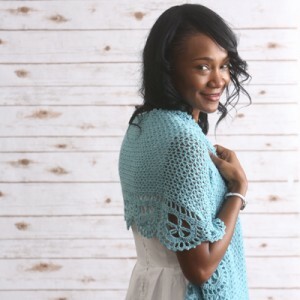 This asymmetrical shawl is worked from tip to tip in a simple V-stitch pattern, with the floral edging worked as you go. 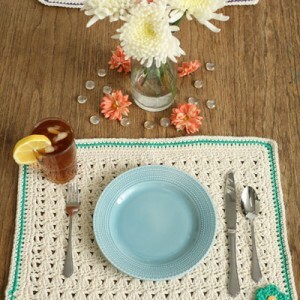 A simple stitch pattern makes for a simply charming placemat. 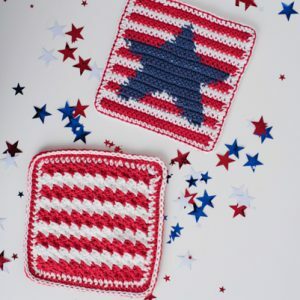 Choose your contrasting color and crochet a little flower for the finishing touch.